Obianuju is a young blogger whose wisdom and writing prowess shows an expertise that one associates with gray hair (some people get gray hair pretty early though, some of them like my dad were born with it). I look forward to her posts (she doesn’t blog often enough *angry face*) and I stalk her on instagram where she has dozens of pictures where she doesn’t crack a smile. In many ways, I’m still a child. For instance, when we used to get Disney XD, and I was in control of the remote, I’d park myself in front of the television and watch marathons of Phineas and Ferb. Most people knew not to disturb me. I still do it sometimes when I get the chance. The question this engenders is: am I still clinging to my childhood because I had an interrupted one? Or am I still a child because I want to be? If this were a movie, Michael Jackson’s Childhood would be the soundtrack of this scene. That song is so haunting! I hate crowds with a passion. The smells, the choking, the fact that I almost died twice in crowds reinforces that hatred. So for instance, instead of going to RCCG Camp and being miserable, sleepy and tired through out the service, I prefer to be in my house watching Dove TV, bright eyed, happy and fully awake for the most part. Do I hate crowds because the television provides a convenient alternative option? Or is the TV merely a convenient alternative to what might be a miserable situation for me? I’d rather watch it on TV too. I usually refuse to comment on any blog if I see that the author hasn’t replied. My very first blog, it took about a month before I got any comments. I learnt to treasure them. So why won’t I comment on a blog if the author isn’t replying? What’s my business? This is a pet peeve for me too, even if you can’t for some reason reply to all the comments for some reason, reply to some. It used to be extremely difficult to sleep in the night. As a result, I’d write articles, read blogs, books, watch a movie or 3 and browse the Worldwide Web. Some of my family members suggested that it was because I undertake this whirlwind of activity that I’m unable to sleep. I put this to rest by laying on my bed without distractions and still the sleep wouldn’t come. And then they’d advise me to read a book or watch a movie. #teaminsomnia it gets worse for me if there’s no activity, my head would feel it’s about to implode. It’s far easier for me to fall asleep reading a book. Which comes first; the chicken or the egg? Does the problem show up before the solution? Or does a solution already exist looking for a corresponding problem? Do I, do we as human beings forget that we have shovels in our backyards while we toss earth by hand? Or do we toss by hand because we have a feeling that the shovel has been destroyed? “If a tree falls in a forest and no one is around to hear it, does it make a sound? I see this pattern everywhere. Someone who got married at 28 wants me to get married at 19. Did she have such a wonderful experience at 28 that she wants me to start 9 years earlier? Or did she have such a miserable experience she’d like to show me much earlier? Why is 30 the benchmark for girls to be in their husband’s house? Why not 18? Or 40? And why is there no corresponding benchmark for boys? I don’t have all the answers. I don’t want to have all the answers. I just wanted to get you to start thinking. PS: Last year I participated in the 15 for 15 challenge initiated by Janyl who blogs at jbshares.com,the challenge was succeeded by voting which is on going currently. Please click here, go through the posts of all the other the other bloggers participating in this challenge and vote for your winning blogger! I enjoy reading your write-ups Uju and I comment on your blog regularly but never see my comments up *sad face* I guess they got into spam. Deep down, we know who we are and as many of us strive to be a better us, others do the exact opposite. As regards your opinion on blog comments, I feel that blogsphere should be more interactive where no matter how important or popular a blogger views herself or himself, he/she should be able to respond to some comments. I guess this is the reason I like bloggers like Stella even though she responds more to call-outs. Blogshere is a place to express oneself and it’s definitely not the red-carpet so, bloggers should do more to interact more often with their blog visitors. For marriage, I really don’t know if there’s a bench mark but then, women are always the ones at the receiving end of the marriage circle. Is she married yet? How old is she sef? She’d better hurry off to her husband’s house ooo before it’s too late. You’ll even see some married women who have achieved nothing yet pride their marital status as certificates. Just as I always say, every woman who wishes to settle down, will do so as some point in her life, it doesn’t matter when, what matters is, it will happen. I looked for those comments very intently on Friday. Bit I was looking on my phone WordPress app and I couldn’t access the spam folder. Never fear, Uju’s on the case. I love reading adaezewrites.com so much. Especially Silence. My heart flips in my chest whenever I see a new post. Definitely. But at the same time, I want the blogs I comment on not only to reply but to reply to me. I’m attention seeking like that. As far as marriage is concerned, I want to get my ducks in a row and have achieved something, several somethings for myself beforehand. I like your laissez faire comment. I plan to use it. @Adaezenwa, Lol. I’m trying with the Instagram photos, am I not. Expect some more posts on my blog soon. Kisses. This is beautiful. P.s- “Childhood” is too sad a song for mine oh. It’s not as bad as all that. Adaezewrites.com is the most visited blog on my phone and tablet chrome browsers (that’s the only browser that allows me comment on blogger) her stories are engaging and endearing. Uju, you’re trying small with the smiling and as for blogging, I’d hold you to your promise. You’re right about Childhood being too sad, especially in light of the singer. Suggest another song that fits better. Lol. Babe I don’t know oh. I can’t remember. Whew!! Finally my pleading pays off #dancing skelewu#. My Hrh finally post something great here. 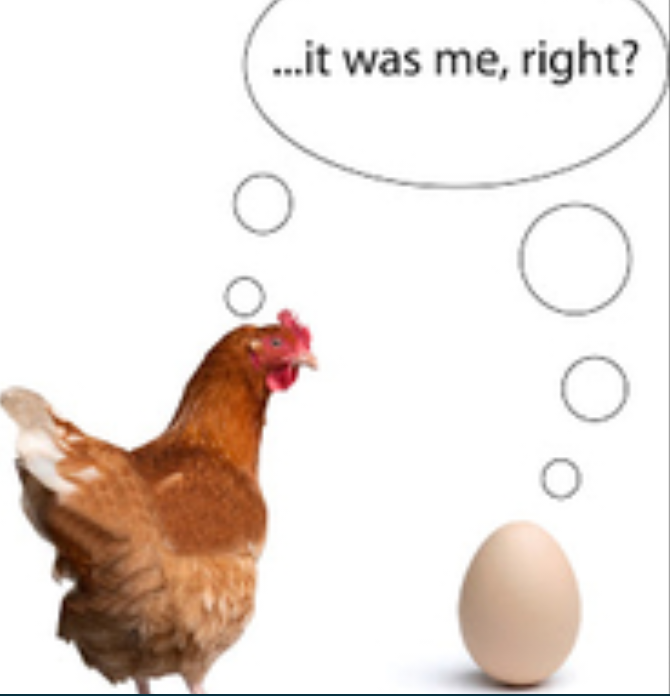 The chicken or the egg biko? The present or the past? The then or the now? The truth is there is always the childhood part of us that will negate themselves except there is serious overhaul of our personality. This marriage wahala sha, I’m tired of all this marriage experts everywhere. I was thinking if we have such a great number of them around, why then are marriages falling apart. Marriage age? Who made the rule for marriageable age? Perhaps why the heat is on the ladies is because of the biological clock. But all the same it doesn’t make sense pressurising ladies. My take is marry when you know you are ready. Society won’t be living with you o. Funny enough I still like dancing in the rain and watching cartoons *agbaya like me* 😀😀. Dear future wife take note. Insomnia *looking right, center, left and down*. Shhhhh don’t cause distraction. I have found a proven trick that works for me – Reading 1 Chronicles chapter 1 to 7 in the bible. By the time you’d get to chapter 7, you will be in dreamland. Lovely and awesome article ma’am . all the kisses and love from Siberia. I’m already sharing my Val 101 love and kisses. Take as many as you want pls. Her post was interesting, funny, beautiful… in short it was great. The marriage thing boils my blood, the annoying thing is that those people would be the first to mock if things go bad. The biological clock isn’t so important these days as more and more women are having children much later in life, even in their 50s. Besides not every woman wants children. Chronicles abi! Will try it. @Immanuel, Lol. You said you were starving. I hope you’re full now. Present or past? I prefer the future, honestly. Marriageable age, the problem I think, is that so many people are involved in our lives and they are usually able to say whatever they want and get away with it. So of course, when you reach your 20s, they start with the pressure. But like you said, society will not be living with me and so the pressure is unfounded for me. Insomnia, I like your suggestion. Another one I’ve tried that works great for me, is praying for everyone I can think of. I read it in my devotional a while back. Very effective. I think we are all becoming agbayas at this stage. I’m happy to be an agbaya sha. Thanks for such a great comment Immanuel! I appreciate it. Uju, you are hilarious! I really laughed about trusting family because they are trustworthy or because they are our blood. I thought about that and so many things you wrote there. Crowd?! What’s the fear of crowd called? How do you plan on overcoming it. I’m not sure I read your article on the 2 incidences that made you afraid of crowds. Nice one. @Chynanu, true she hardly smiles in pix and when she does its …. :) as for wisdom, its natural to her. Her point about family had me thinking too! Her wisdom is lit and I’m looking forward to seeing her grow in wisdom and poise. Thanks for stopping by dearie. @imanikel and @adaeze, see how you’re dissecting my matter. I smile very often in real life oh. It’s just that it doesn’t come out in pictures. @imanikel you haven’t seen those 2 (could be 3, but i was sleepy and i very determinedly choose to believe it was a dream) experiences because I haven’t written about them yet. They were both at the Experience- 2013 and 2015. First time, I was attending for the first time. We waited for such a long time in the crowd inching along. Then all of a sudden there was a mad scramble. During the scramble, some people fell down on the stairs, other people were hit in the throat and many (including myself) began to choke. My friend carried me out of the mêlée. I’m eternally grateful. 2015, same choking thing, only with wheezing too. Very tight place and people were locked so close to each other. I was smelling everything and everyone. My ribs hurt and not the pleasant kind. It was uncomfortable and not funny at all. So much so that my cousin was screaming Stay with me throughout. I didn’t see any White lights, didn’t feel myself losing consciousness. But still, I think I’ll watch 2016 experience in my house. I haven’t been to The Experience before and with this, I’ll continue to observe it from afar. You did not disappoint, your usual wit shone brightly all through this post. I like how you always manage to marry humour and depth, such that one comes out chuckling but with a thought lingering in their head. I still enjoy cartoons because if you pay close attention, you’ll notice that they have the wittiest one-liners. While I understand that blogging can be time-consuming for a very busy person, I too prefer to leave comments only on blogs that are interactive, otherwise it resembles a one-sided conversation not unlike a “Dear Diary”. And if the blogger’s actual intention is to maintain an online journal, then I’d rather keep my thoughts to myself and not bother them. How are you? Thank you so much for that compliment. I was smiling when I read that. I love so many cartoons! Not just Phineas and Ferb. (But those are my favorite though). And you’re quite right about the one liners. It’s true. In some of my philosophical moments, my mind shifts to that issue. I’m happy it made you laugh. Precisely, I’ve revised my initial position. I can leave a comment or two. But regular comments that won’t be replied to? I have better things to do. You’re so right about the one liners, they’re the best! I love cartoons because impossible is nothing with them, you could get hit by a train and be running up a hill in the next scene. Oluwafemi, I’m glad it did.